Minneapolis, MN – February 29, 2016 – Alliiance is pleased to announce that Eric Peterson has been named President of Alliiance. Eric brings a strong collaborative leadership to the firm that puts service to the firm’s clients first while ensuring excellence in design. 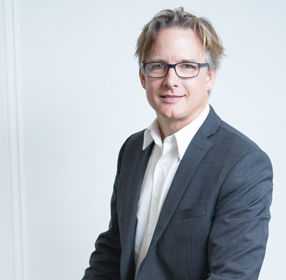 Peterson, who graduated with a Master’s Degree in Architecture from the University of Minnesota in 1991, and a Bachelor’s of Architecture from Washington University, St. Louis in 1988, joined the firm in 1989. Eric’s career has been devoted to leadership of the firm’s international aviation architecture practice, and he will maintain that involvement. His first aviation architecture project was close to home: Minneapolis–St. Paul International Airport. Since 1989, he has brought his design leadership to over 37 airports, from San Diego to Kingston, Jamaica, which has been characterized by the enhancement of passenger’s experience in all its permutations. Eric’s leadership for his projects, and within the firm, is through the empowerment of others and ensuring collaboration throughout every project. A frequent contributor to industry magazines, Eric also speaks regularly at professional conferences around the world. Eric enjoys canoeing and fishing in the wilderness boundary waters of Minnesota and Ontario, lending a hand on a ranch or two in southern Arizona, and skiing wherever there’s a slope. Eric’s long-term, valued client relationships include Minneapolis–St. Paul International Airport, Memphis-Shelby County International Airport, Gerald R. Ford International Airport (Grand Rapids, MI), Bill and Hillary Clinton National Airport (Little Rock, AR) Louisville International Airport, Cheyenne Regional Airport (Cheyenne, WY), and Williston Regional Airport, (Williston, ND). Alliiance’s partnership model enables thoughtful and natural leadership transitions. Carey Brendalen, the firm’s preceding President will continue his strong leadership firm-wide and within the Workplace Studio.